Chocolate Glazed Chai Spice Cheesecake - Chocolate Chocolate and More! 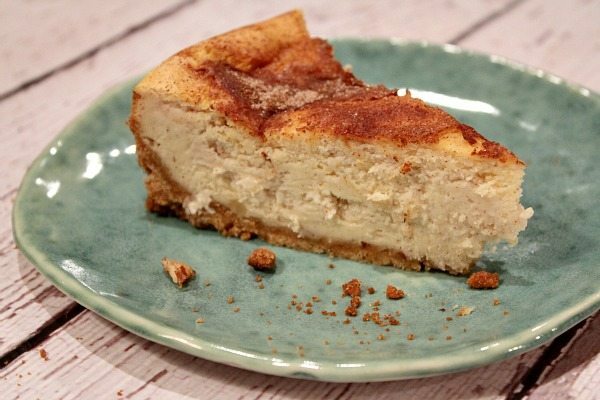 Creamy New York Cheesecake with chai spices is dreamy all by itself. Top it with a chocolate glaze and you’ve got a sensational dessert in this Chocolate Glazed Chai Spice Cheesecake. I’m moving into my own apartment next week. I can’t wait to have my own kitchen and space in a refrigerator. My housemate’s refrigerator is packed to the gills so I get one shelf. Definitely not enough space to store ingredients for dinner and baking let alone finished baked goods. The new apartment has a decent kitchen (by Cambodian standards), two bedrooms and a large balcony for about the same rent I’m paying now. It’s walking distance to the grocery store and so many other things (including the bus) so I’ll save money on transportation. I’ve got a lot of cream cheese that needs to be used up before the move and I love cheesecake. Besides, it’s my best friend’s birthday and she loves cheesecake. 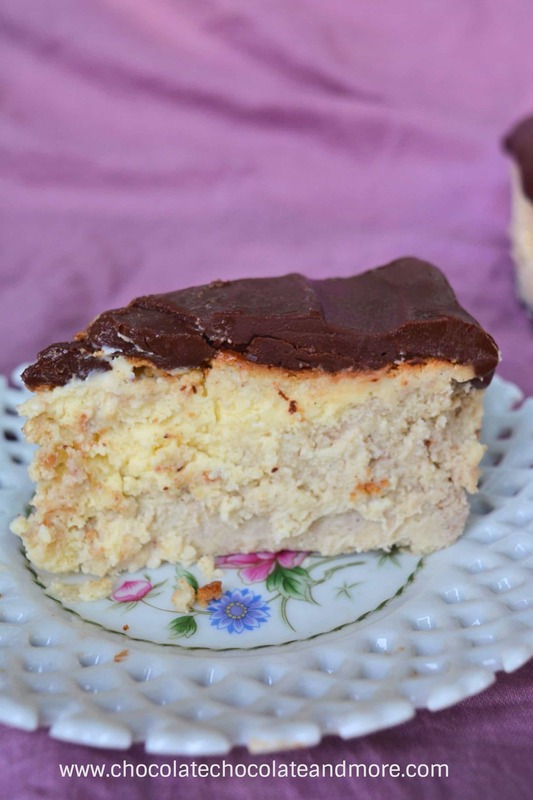 Loreen King from Art and the Kitchen has an AMAZING New York Cheesecake recipe. If you love plain cheesecake (or one that’s topped with fruit or chocolate) this is the recipe for you! It’s so creamy and bakes up perfectly every time. I modified Loreen’s New York cheesecake recipe to make a smaller cheesecake and added some chai spices to0. The chocolate glaze is a bit thick and it hardens up in the refrigerator so make it just before serving. 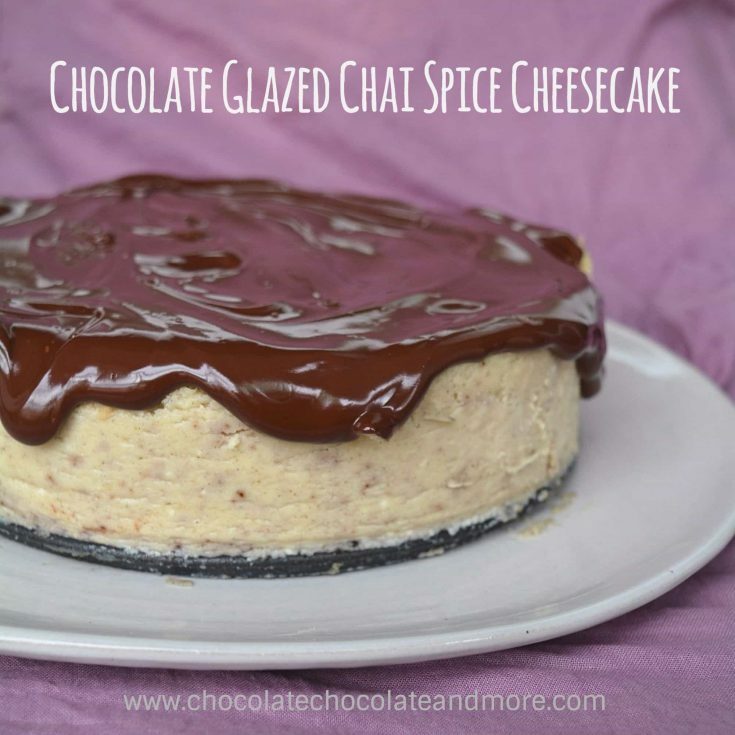 You can top the chai cheesecake with the chocolate glaze or serve the glaze on the side so guests can add as much as they like. We celebrated my friend’s birthday at a fun restaurant in Phnom Penh. You enter through a coke machine (the door is actually and old coke machine). Inside is a cozy bar with pretty good food. Our Ukranian waiter provided a candle and plates for the Chocolate Glazed Chai Spice Cheesecake so we gave him and the other waitstaff a slice each. Chocolate Glazed Chai Spice Cheesecake is creamy, chai-flavored goodness. It would be equally good with plain whipped cream instead of the chocolate glaze. Butter the inside of an 8-inch spring form pan. Wrap the pan in two layers of aluminum foil and set aside. (I cut 2 squares that were about 16 inches to a side. Place the pan in the center and folded the sides of the foil up to cover the sides of the pan). In a heavy duty mixer cream together the cream cheese and butter until they are well mixed. Blend in the sour cream and then blend in the eggs one at a time. Add the remaining ingredients and blend on medium speed until well mixed (a few minutes). Place the spring form pan wrapped in aluminum foil in a larger pan. Fill the larger pan with water so that the water reaches about 2/3 - 3/4 the way up the sides of the spring form pan. Bake in a 300°F oven for 1 hour 15 minutes. The top should be slightly brown and the middle should be jiggly but the outside should be firm. Let cool in the spring form pan. Insert a knife around the edge and then remove the sides of the pan. Just before serving, top with chocolate glaze (the warm glaze can be served on the side if preferred). Put about 1 inch of water in a pan and heat to boiling. Remove from heat and place a bowl in the pan. Put all the glaze ingredients in the bowl and let sit a few minutes to soften the chocolate. Stir until chocolate is fully melted and combined with other ingredients. 2 things : do you leave cheese cakes in the water pan while cooling? Also, how do you get cooled cheesecake off the spring for bottom? Hi Susan, I let the cheesecake cool a little in the water pan (it’s hard to take out when it’s really hot) but most of the cooling was outside the water pan. 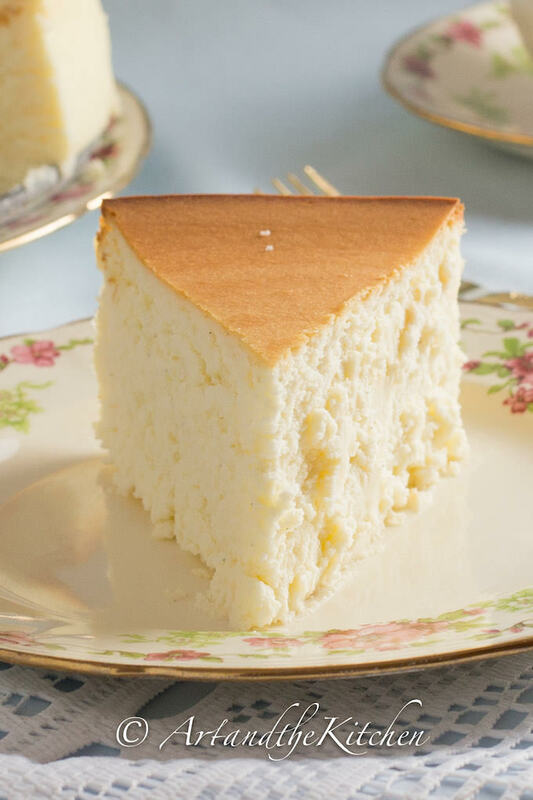 A secret for getting nicer slices of cheesecake is to freeze it slightly (don’t freeze it solid) before slicing. Dip the knife in hot water and slice. Dip the server in hot water before sliding it under the slice. Once you get the first slice out, it gets easier with the rest.